New Delhi: The Bharatiya Janata Party released its first list of 77 candidates for the assembly elections in Chhattisgarh on Saturday and announced to contest polls on 38 out of 119 seats in Telangana. The decision was taken after the Central Election Committee (CEC) meeting of the party. Chief Minister Raman Singh has been fieled from Rajnandgaon, a seat from where Congress is yet to declare candidates. The Congress is out of power in the state for 15 years. 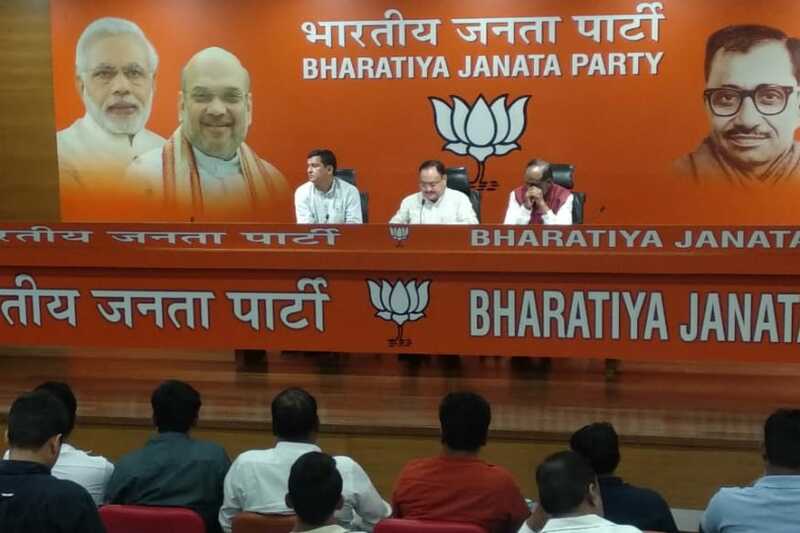 Announcing the list, Telangana BJP election in-charge Jagat Prakash Nadda said that BJP will also contest Mizoram Assembly elections on 13 seats. Eighteen naxal-affected constituencies will go to polls in the first phase on November 12, while the rest of the 72 constituencies would go to polls in the second phase on November 20.